Earlier this month, Arc System Works released a new trailer and a bunch of new information about their highly-anticipated upcoming crossover fighting game BlazBlue Cross Tag Battle. 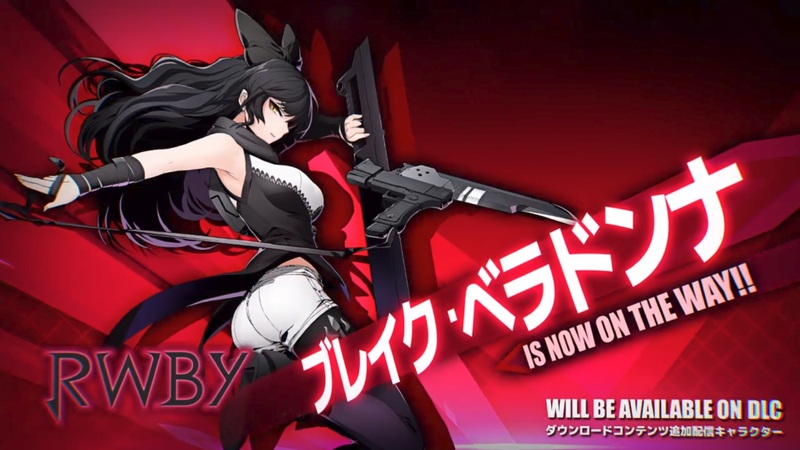 The announcements included the worldwide and Japanese release dates, pricing, information about the limited edition, footage of RWBY’s Blake Belladonna, and that the game will have a whopping 40 characters, with 21 of them revealed already. Unfortunately, the announcements came with a catch: the 40 characters includes DLC characters. Blake herself is DLC, as are the other 19 characters who haven’t been revealed yet, for a total of 20 DLC characters when all is said and done. There are several issues to be had with the situation as a whole, so I’m going to address them one at a time. The most obvious issue to be had after watching the trailer itself is Blake herself. Before the game’s initial announcement at EVO last year, Rooster Teeth teased on Twitter that there would be a RWBY fighting game revealed at the tournament. After speculation that the game would be developed by Arc System Works following some Rooster Teeth employees’ earlier visit to the developer in Japan, BlazBlue Cross Tag Battle turned out to be the teased game. It’s been marketed strongly with its RWBY characters, between the ways the characters have been revealed in trailers as well as the game’s presence at RTX and Rooster Teeth booths at other conventions. Now consider that the base game will not only have only two RWBY characters in the cast at launch, but the other two main characters Blake and Yang will cost extra on top of the base game as DLC. (Note: Yang hasn’t been officially announced as DLC or even as a playable character, but I don’t think it’s unsafe to assume she will be since the entire base cast is already revealed.) For those unfamiliar with RWBY, the series mainly follows the members of a group of monster huntresses known as Team RWBY. 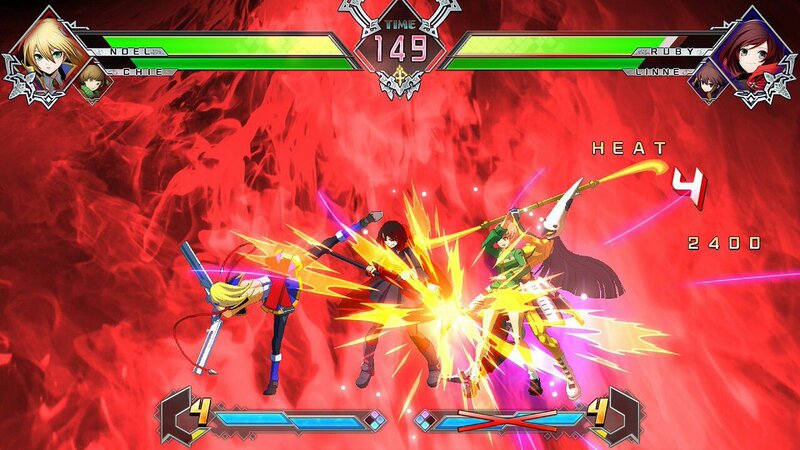 The name of the team is an acronym for the four members: Ruby Rose, Weiss Schnee, Blake Belladonna, and Yang Xiao Long. Considering they’re the four main characters, it stands to reason that if no one else from the series is in BlazBlue Cross Tag Battle, they at least would be. Consider the absurdity of this decision, to sequester two main characters and part of a major selling point for this game behind an extra paywall. It’s like if Arc System Works announced Persona 4 Arena, but locked Chie and Yukiko behind a DLC paywall – or Kanji, Teddie and Naoto, as it were. Oh, you like Blake? Too bad, you need to pay extra. Realistically, however, the issue of Yang and Blake being DLC is ultimately just a symptom of a much larger issue, that is the DLC situation as a whole. DLC characters for fighting games are nothing new, and in recent years announcing DLC plans before a game’s release has become incredibly common; some recent examples including Tekken 7 with Eliza, Marvel vs. Capcom: Infinite with its first set of extra characters, Dragon Ball FighterZ with SSGSS Goku and Vegeta, as well as six others coming in the future. It’s an unfortunate reality for fighting game players, but BlazBlue Cross Tag Battle is pushing the envelope even farther than any other game with half the cast only being available as DLC, as well as this announcement coming over four months before the game’s release. It sets a bad precedent, and makes it incredibly difficult to see the decision as anything other than deliberately cut content that could easily have been in the base game. 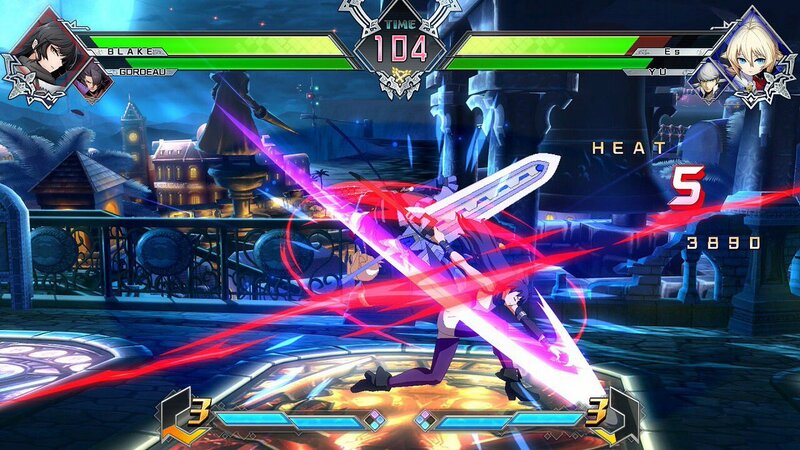 In any case, no matter how Arc System Works approaches the release schedule, any non-RWBY DLC characters will look like cut content, for BlazBlue Cross Tag Battle more than any other game. The non-RWBY characters are all returning from previous games, and bringing with them their sprites, animations and movesets. I get that it’s not as simple as copy-pasting everything from previous games – sprites are being tweaked to fit with each other visually, movesets need to be reworked to account for the game’s unique system, characters as a whole need to be rebalanced, and there are seemingly unique animations and voice lines depending on character pairings that weren’t possible in older games – but that doesn’t change the fact that so many returning characters being post-release DLC sits incredibly poorly with many fans. Blake and Yang are a different matter, considering they’re being made from scratch; developing new characters for a fighting game can take a long time, as evidenced by the fact that Ruby was first revealed in July, but we only saw her second Distortion Skill for the first time in the last couple months. I could accept if those two were free DLC in order to push the game to an earlier release, no matter how disappointing that may be; unfortunately, it’s hard to give the same leniency for the returning characters, and I’d prefer the game be delayed than it launch without core characters.